Isekai, or "sent to another world", is one of the foundational genres of anime, with iconic classics stretching back over two decades, and it’s had a really weird year. 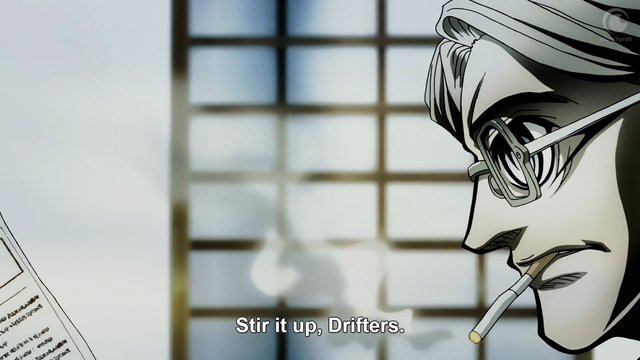 After Subaru’s torturous iliad in Re:ZERO brought a novel dynamic and some dark psychological drama to the genre, Drifters has all but jumped the shark by belligerently knocking over all the narrative pillars of the genre. 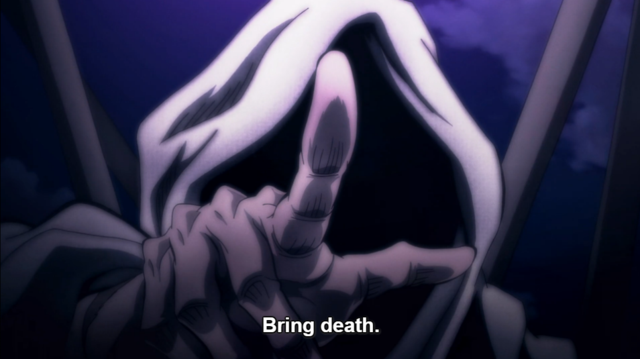 All the elements of an Isekai are there, but rather than a tale of a chosen hero thrust into an unfamiliar land, Drifters presents us with the story of a world wholly unprepared for the horrors the residents of Earth have to offer. A nearly universal component of the Isekai genre is a magical force which transports a person (or persons) from our world to the magical land as an fated savior meant to resolve some great conflict and defeat the forces of evil. Whether it’s a device of fate, like a book or a well, or an active participant, like a cursed witch or spiritual guardian, the individual is chosen for that purpose. 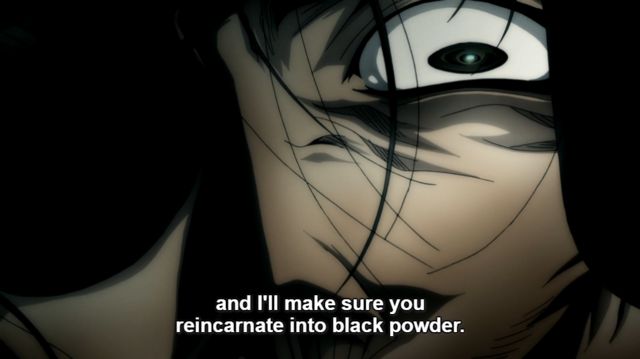 This is clearly not the case in Drifters, although each member of the interdimensional cast was certainly chosen, the interests of their world of destination seem to have nothing to do with the outsider’s arrival. Ironically, these same figures could be considered a much better selection for creating meaningful change in the world than your average Japanese high schooler, seeing as how many of them already have, but the motivation for that kind of ambition can often be selfish. While it isn’t uncommon for Isekai to feature a villain from the same world of origin as the hero, such as Twelve Kingdoms and Fushigi Yuugi, they are usually twisted by malignant forces native to the new world. The Ends have been displaced, but their vendetta has clear beginnings in their world of origin. 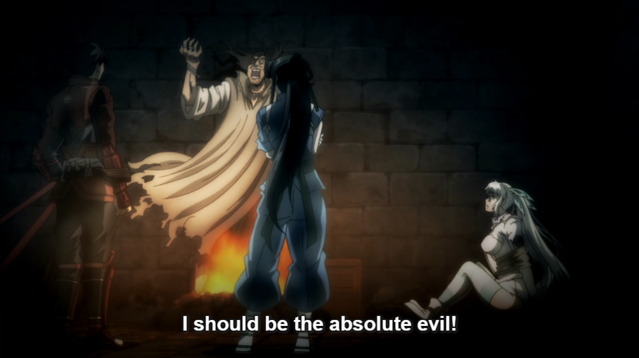 In fact, the clear delineation between the forces of good and evil that is typically present in Isekai is absolutely absent in Drifters. Both Drifters and Ends have thrown in their lot with oppressed racial minorities over members of their own race and sought to conquer the greatest bastion of humanity in Orte, putting them on equal moral footing at the outset. While the Black King's ultimate goal may make him the defacto antagonists of the story, it seems an incremental difference from the Drifters, who are more concerned with exploiting Orte than saving it. 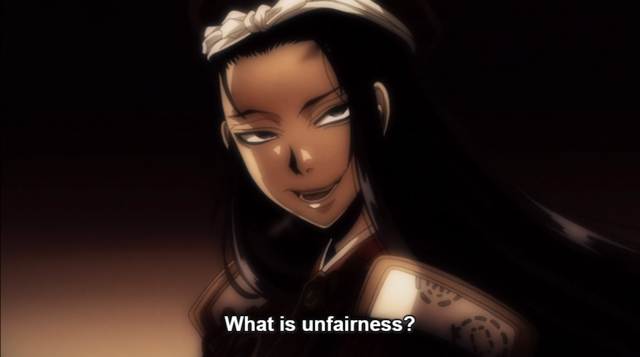 Even the Black King's genocidal objective doesn't quite tip the moralistic scales in any particular favor, Murasaki undermined any position he may have held as the more benevolent of the two extraplanar hallway-dwellers by sending Hitler into the world well in advance of the conflict, knowing that he would create another fascist state and subjugate non-human races. A Drifters-driven genocide was already well underway with the Elves and Dwarves before any of these new players arrived. The origins of Orte beg some other difficult questions, such as whether the world would be in conflict at all without Murasaki’s interference. Can we be sure the Black King was so intent on his current path from the outset or did he make his decision after witnessing the fruits of Hitler's labors? Perhaps the greatest departure from the classic Isekai is in the dynamic between the travelers and the new world they find themselves in. Typically some component of the protagonists outside perspective proves to be of value but they almost universally work within the present system to realize change. Hailing from periods of historic conflict, many of the Drifters were unable to enjoy the convenience of developing a sense of moral justice we laud in times of peace. The leadership among the Drifters and Ends are experts at chewing up cultures and spitting out efficient war machines. Shimazu and Nobunaga in particular, born and bred in an environment of feudal war, have a penchant for making decisively making taking actions that seem insane to someone from a period of peace, opting into battles in which they are hopelessly outnumbered because they know just how to make their enemy units bend and break ranks. 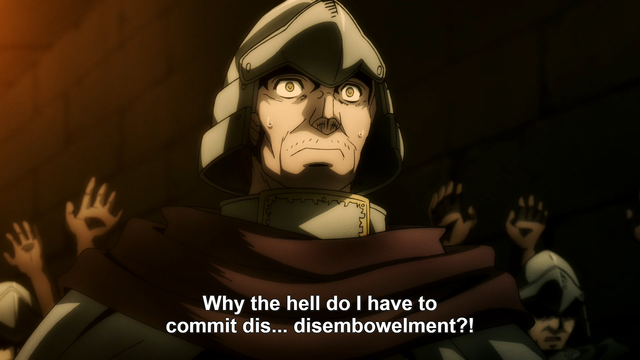 Hirano’s experiment in Drifters may have been to see how the typically grandiose majesty of the kingdoms in the typical destination world of an Isekai could stand up to the mundane atrocities of our world. Given the shock of the Orte soldiers, we can assume they are both mentally and strategically unprepared to do battle with enemies who fight by burning crops, radicalizing local peasants, guerilla tactics, hunting down retreating troops, and employing shock and awe psychological warfare to break their opposition’s spirit before the battle can even begin. The Drifters are specifically ignoring the worlds rules to instead solve their problems the way they always have and leaving everyone else to try and catch up. The conflict between ends and Drifters seems inevitable but the purpose of their war is still unclear. Murasaki and Easy have remained tight-lipped about their motivations beyond some pro wrestling-style shade throwing. They clearly want to defeat one another, but what precisely that means for everyone else is up in the air. The fantasy world is unquestionably worse off for the interference of the strangers of our world. 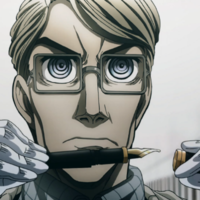 With all of the historical context present in Drifters, it's difficult not to see some intentional references to Western colonization taking place as an organic outgrowth of their exploitation of local resources. Instead of a panacea, the travellers are a plague, intent on reshaping this new fairy tale world into something much more like their own.